The Parc des Expositions (exhibition centre) Paris Le Bourget is located around 10 km to the north of Paris, alongside Le Bourget airport. 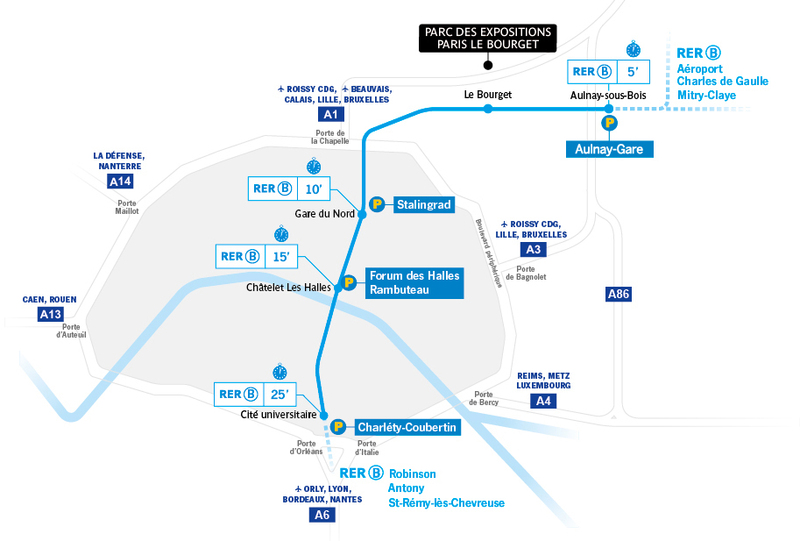 If you want to avoid the traffic jams and save money, the best solution is to leave your car in a cheap and safe car park situated very close to an RER station (Regional Express Railway) and to take the RER line B which will drop you off in 5 to 25 minutes to the railway station "Le Bourget". 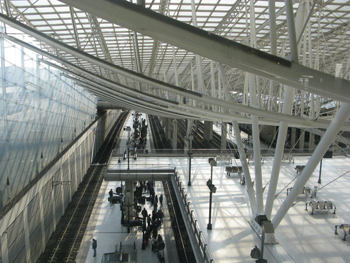 Then, a shuttle bus (Bus 152) will then take you to the exhibition centre and Paris Air Show. The Stade Vinci car park is a cheap parking facility about 7 minutes on foot away from the La Courneuve-Aubervilliers station from where you can take the RER B which will take you to the Le Bourget station in 10 minutes.